The adage “what doesn’t kill you makes you stronger” proved very true for one of our Fall 2016 Capstone teams. When circumstances no longer allowed them to pursue their project, the team was forced to develop a new game plan mid-semester. Within a week of intense brainstorming and heavy collaboration, an ingenious idea was born. 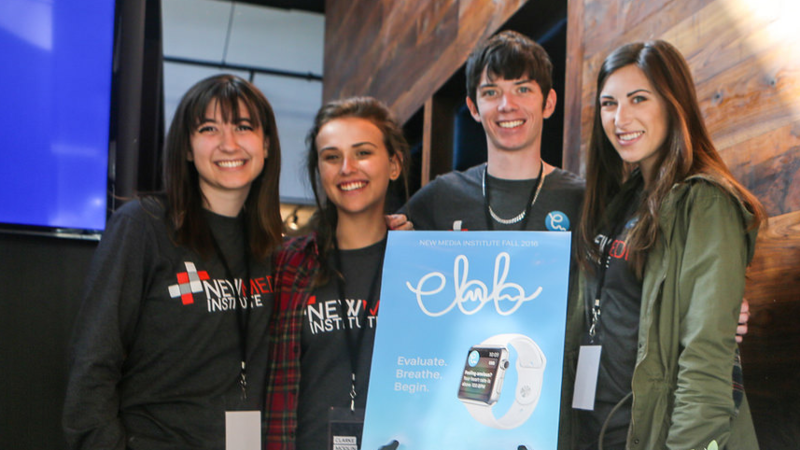 Taking advantage of the Apple Watch’s heart rate sensor, the group developed Ebb, an app that helps individuals who suffer from anxiety identify and cope with subtle triggers throughout their busy schedule. Despite the group’s limited coding experience, the team managed to build a fully-functioning app and publish it to the app store. But the story doesn’t end there. Shortly after launch, a meeting between Emuel and Dr. Jim Moore from Educational Resources at UGA’s College of Veterinary Medicine revealed a possible new purpose for the app. Dr. Moore was working with an educator in Japan who needed a way to track and display the heart rates of severely disabled children to determine their focus levels. The only missing piece of the puzzle? An Apple Watch app that could track heart rate. Ebb to the rescue! Joe Reisigl, the team’s developer, worked with Dr. Moore to modify Ebb for this new innovative use. Now, the product they created together is being used halfway across the world to help children in Japan learn and grow. Ebb, a Fall 2016 Capstone project that laid the foundation for a life-changing product. Used to help students with special needs on the other side of the world, this capstone creation and its story were commemorated this month through the publishing of an iBook titled An App Changed Shion’s Life.